We offer crotonaldehyde that is moderately soluble in alcohol and miscible in organic solvents. It is a clear, colorless liquid having a pungent smell. As an unsaturated aldehyde, crotonaldehyde is a versatile intermediate in organic synthesis. Available as denatonium benzoate, Denatonium Saccharide is one of the most bitter components of till date. It is colorless and odorless solids but is often traded as solutions. They are used as aversive agents to prevent accidental ingestion. 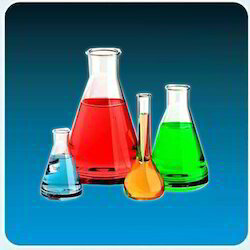 It is also used in denatured alcohol  antifreeze, nail biting preventions, animal repellents, liquid soaps, and shampoos. The chemical doe not pose any long term health risk although its exposure may be irritating and unpleasant. Denatonium benzoate is used to denature ethanol so that it is not taxed as an alcoholic beverage. Denatonium is a quaternary ammonium cation and its structure is related to the local anesthetic lidocaine, differing only by the addition of a benzyl group to the amino nitrogen. We offer a wide range of Di Ethyl Pthalate that is a clear oily mobile liquid. Di Ethyl Phthalate is odourless, colorless and can be stored in a cool, ventilated area that is away from fire. Di Ethyl Phthalate is a plasticizer and is largely used in the manufacturing incense sticks and as a fixative in the manufacture of perfumes and attars. Our clients can avail from us a wide range of denatonium benzoate that is added to all harmful liquids that includes solvents, paints, varnishes, toiletries, and other household products. It is also used in rubbing alcohol as an inactive ingredient. 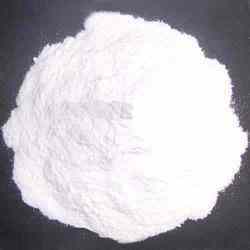 Denatonium benzoate is basically white powder and odourless in nature.